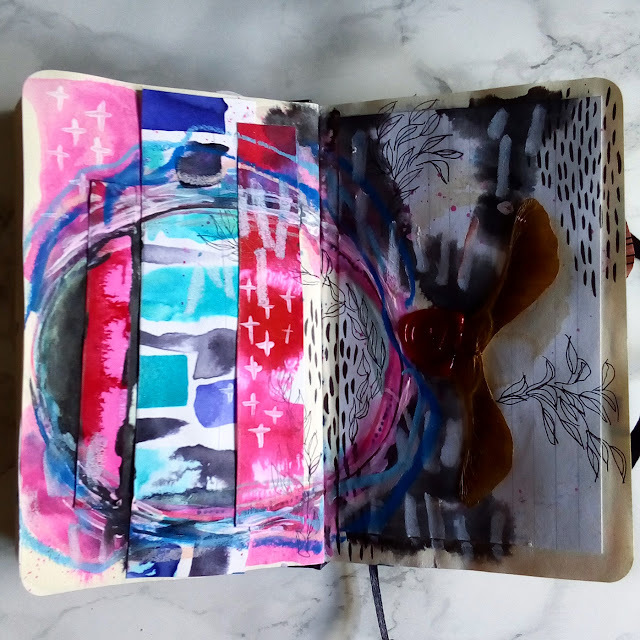 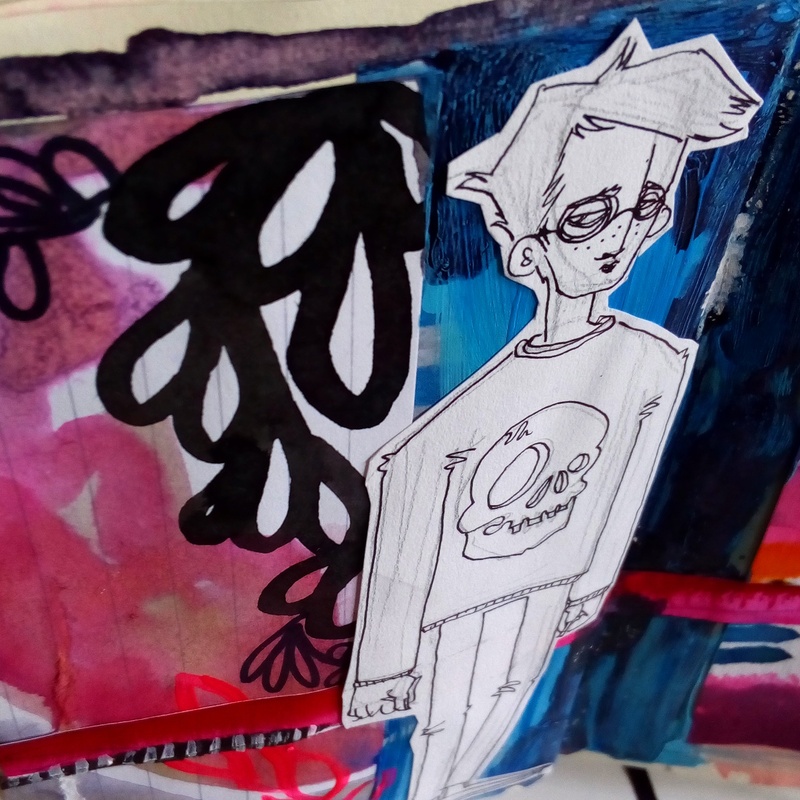 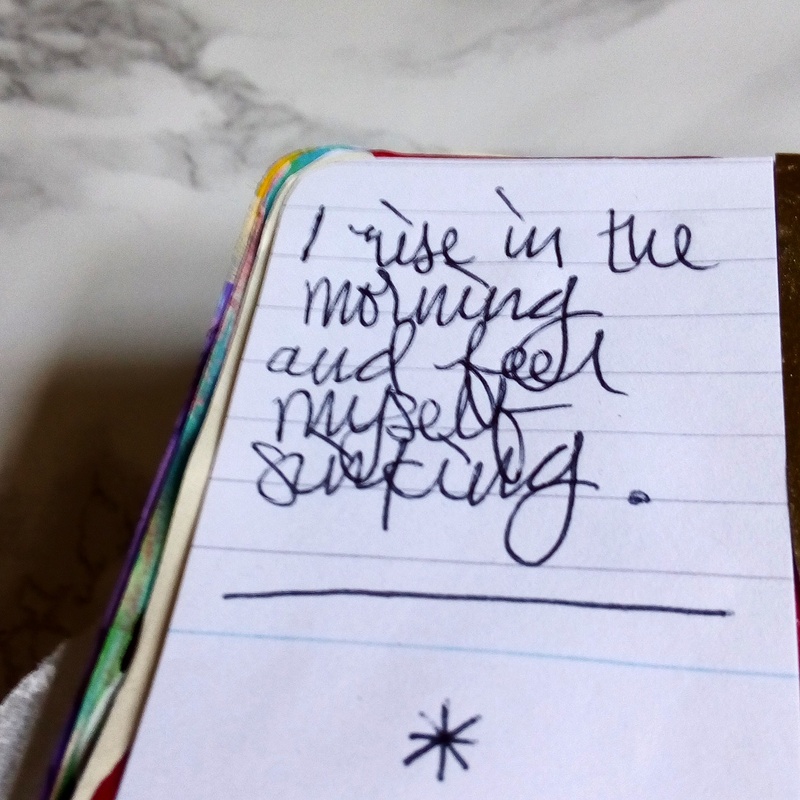 My pocket sized Moleskine art journal is developing rapidly. 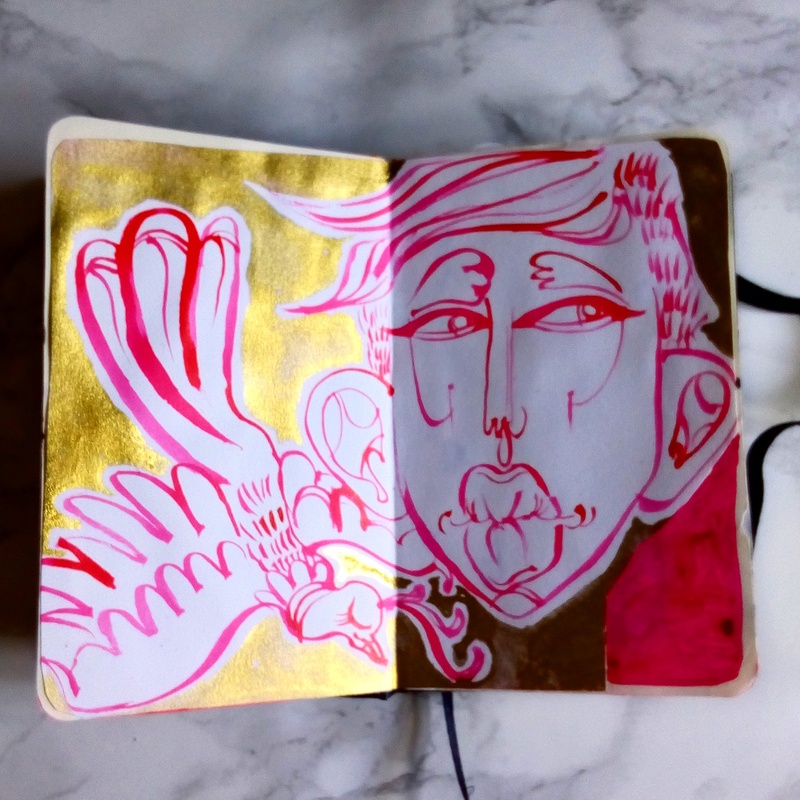 Lately I've been obsessed with my bottle of Winsor and Newton ink in Carmine. 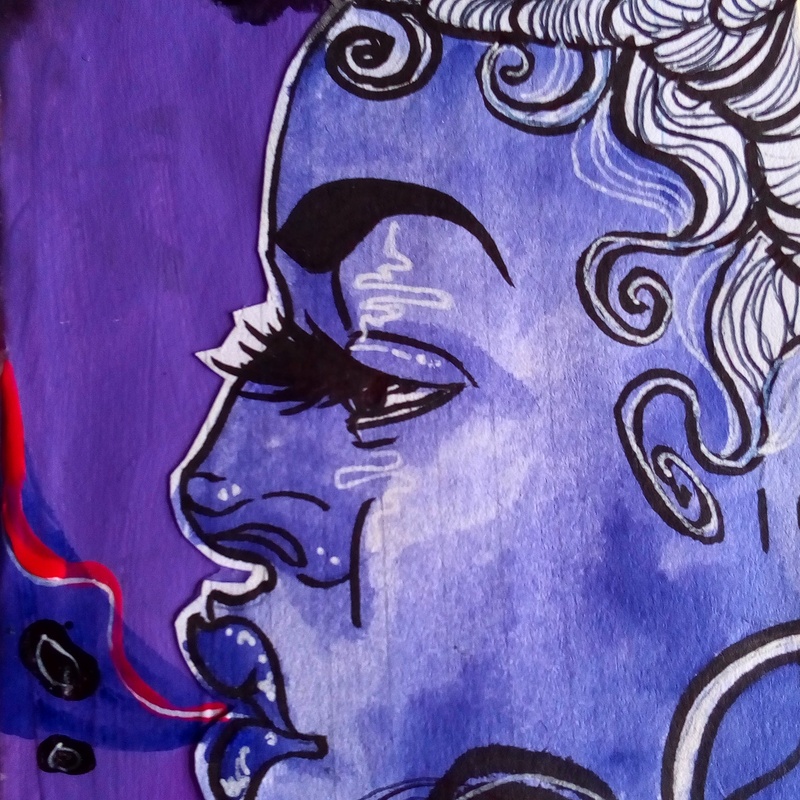 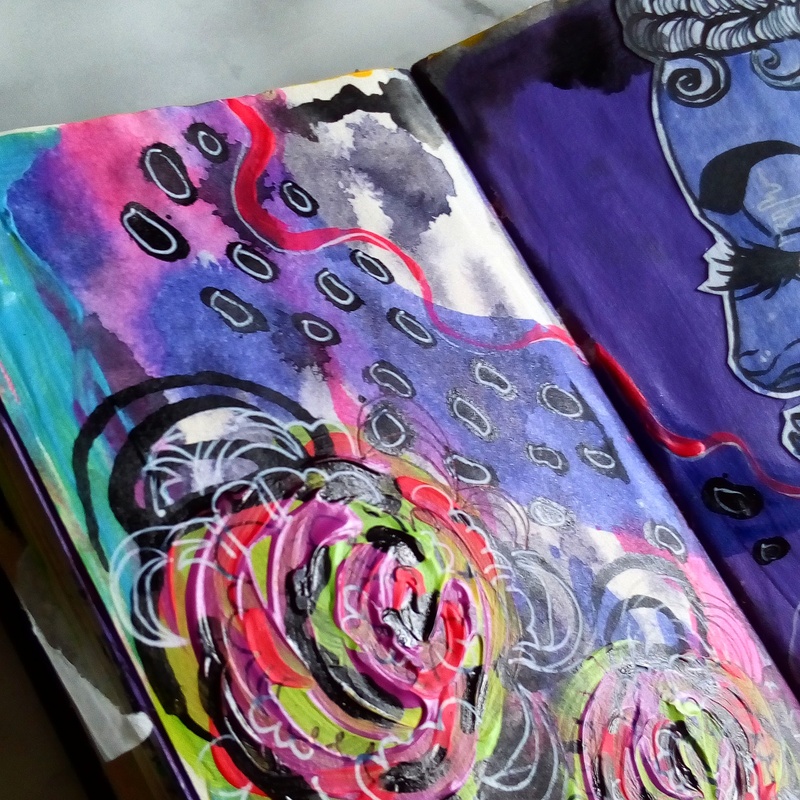 I've been balancing it with Orange, Violet and Blue to create ultra vibrant spreads in my art book. 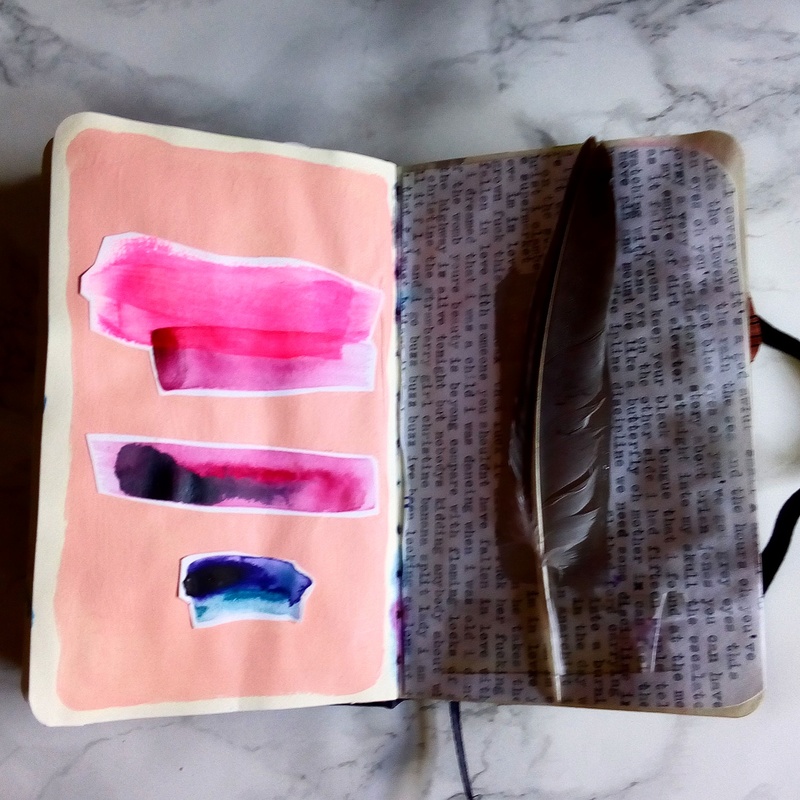 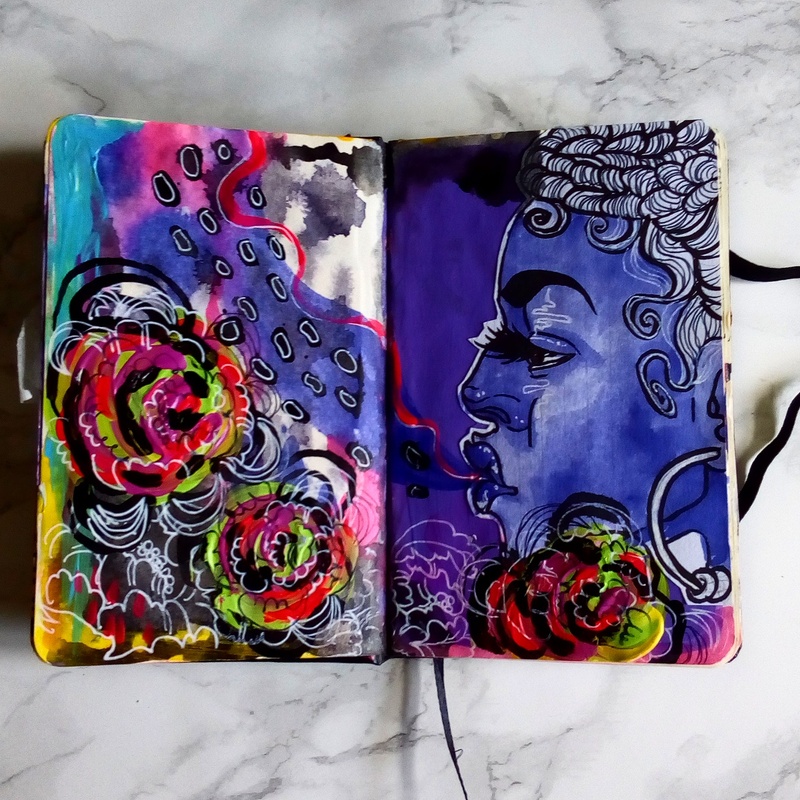 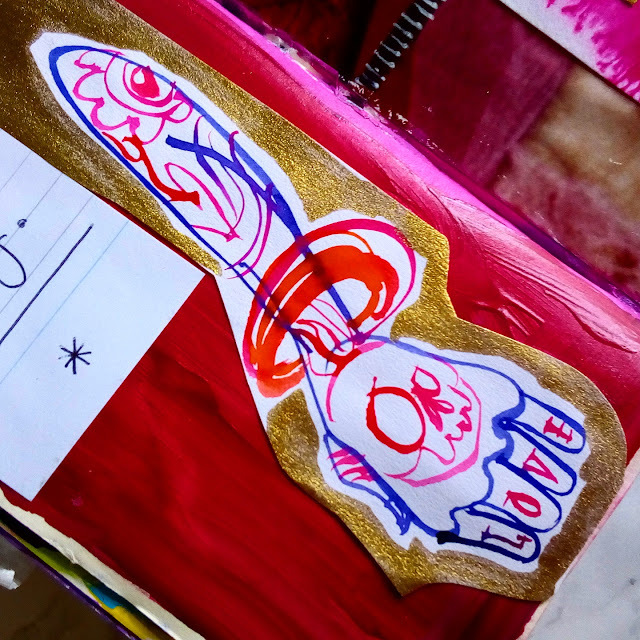 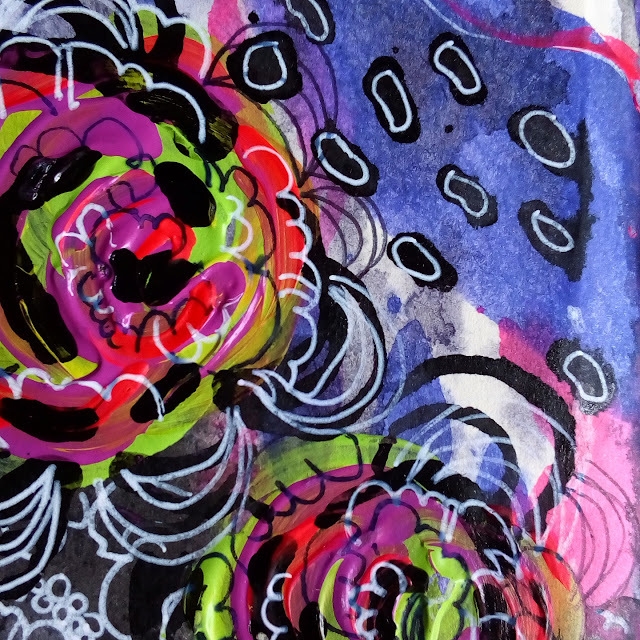 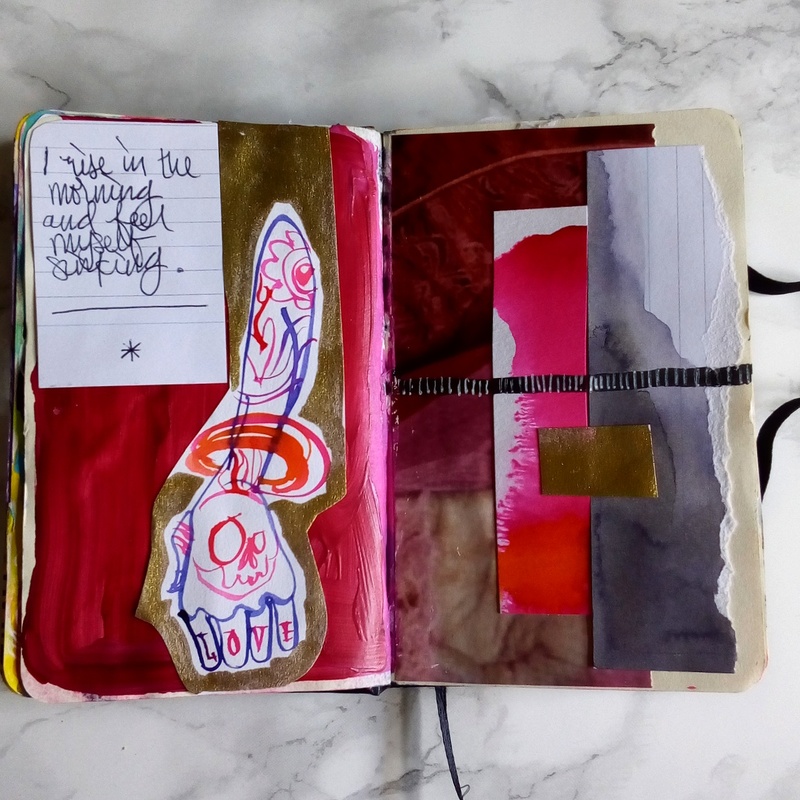 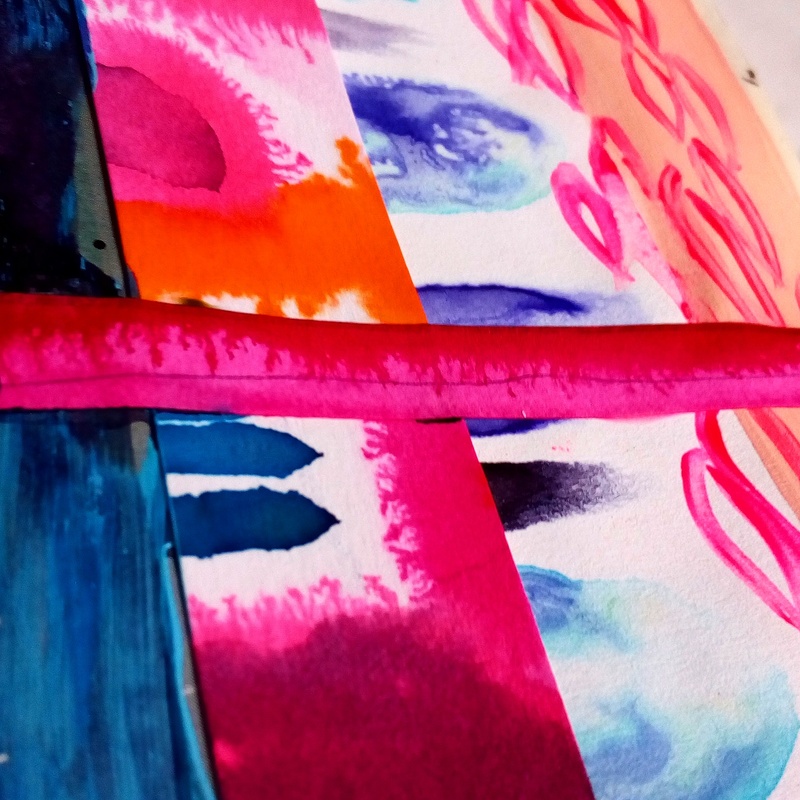 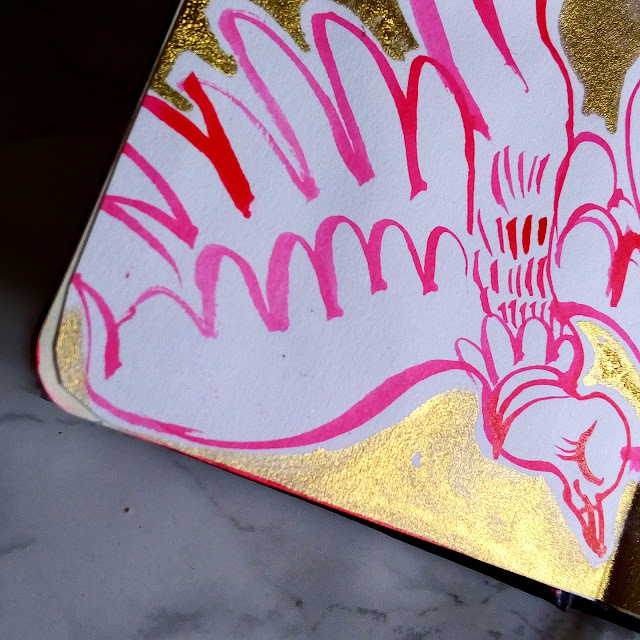 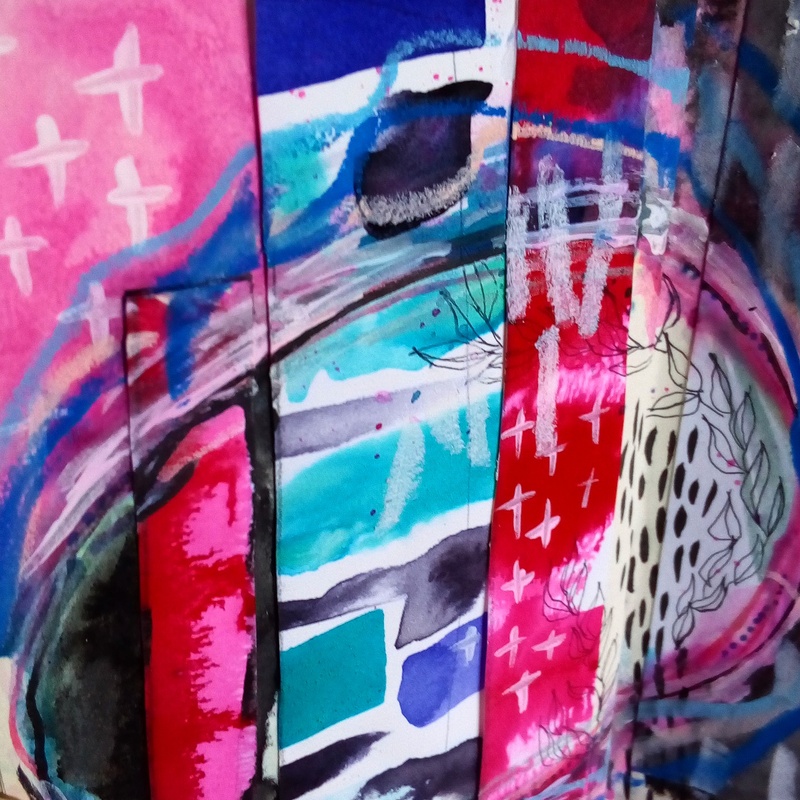 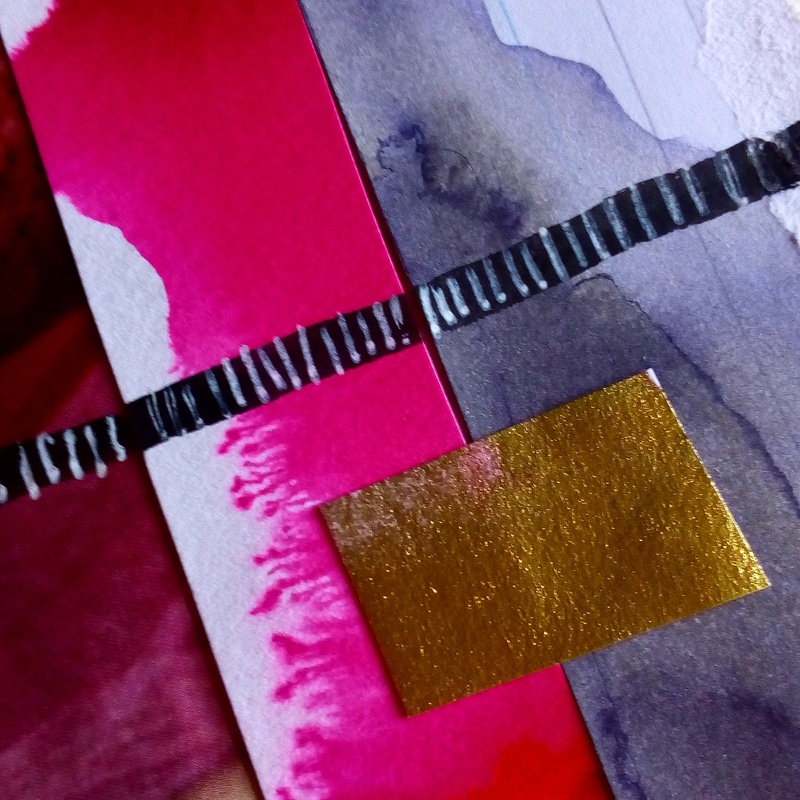 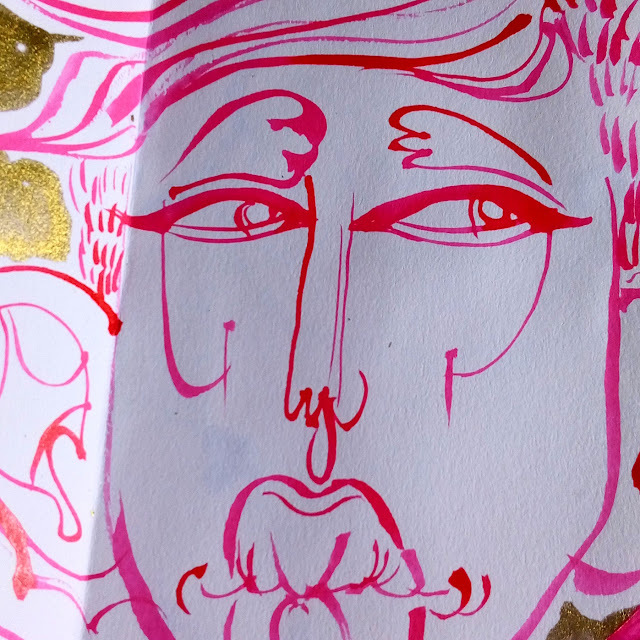 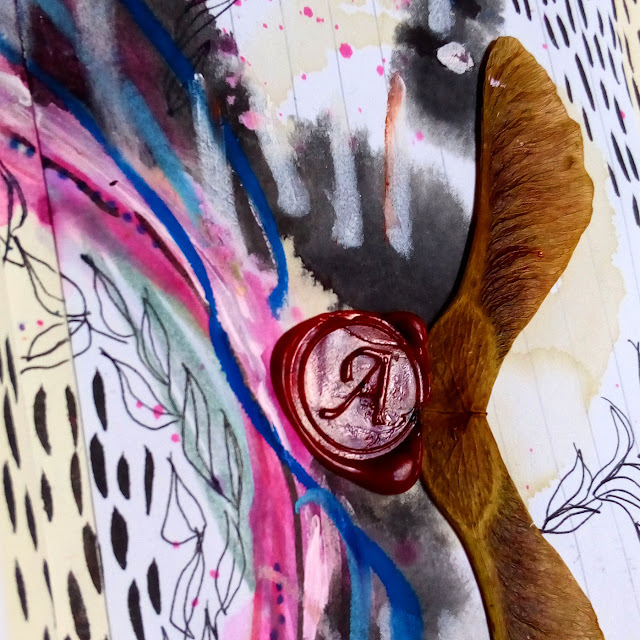 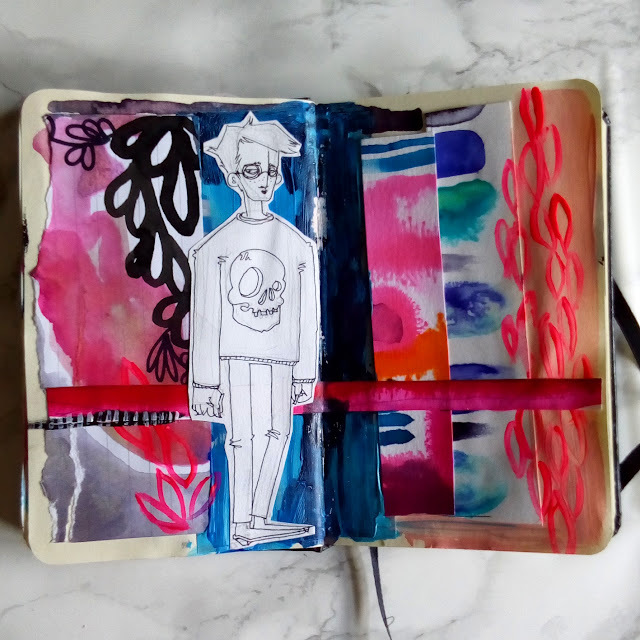 With accents of neon pink acrylic paint, these pages are exploding out of my journal!